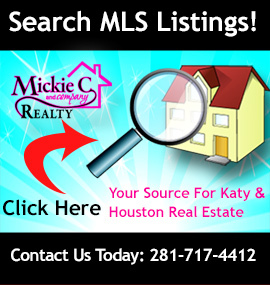 Help Sell Your Katy TX Home with These Projects! It’s been fun highlighting new businesses that are coming to Katy TX and the local events that are taking place throughout the year. Katy TX is a growing city and it’s a dynamic time to be living in its vibrant communities! Yet, there are those of you who are finding yourself needing to sell your home whether due to a job transfer, extenuating circumstances, or you’re finally able to move into your dream home in Katy TX! Whatever the reason you need to sell your Katy TX home, as a real estate agent in Katy for a number of years, I understand the thought can seem rather daunting. Oftentimes sellers will ask me what they can do to help their Katy TX home sell and boost its’ appeal on the Katy TX Real Estate market. I’ve gathered together some of the top projects that you can take on to help improve the appeal of your home to buyers. Take a look! – Adding proper insulation will not only add value to your home, but will save you money. This energy efficient project will reduce up to 30% of heating and cooling costs. Those looking to buy a Katy TX home will be searching for homes that are more eco-friendly and adding insulation or even replacing old windows with new energy efficient ones will appeal to buyers. – The best way to update your home is to remove any excess furniture or knickknacks that don’t serve a purpose. Not only will this make your Katy TX home appear larger, but it will give your home a more updated feel. If you’re planning on selling your home, buyers will appreciate this clean and updated look as they’ll be able to better envision their belonging in your home. – Kitchen’s are one of the top places that people will want to see upgrades and where you will get the most return on investment. 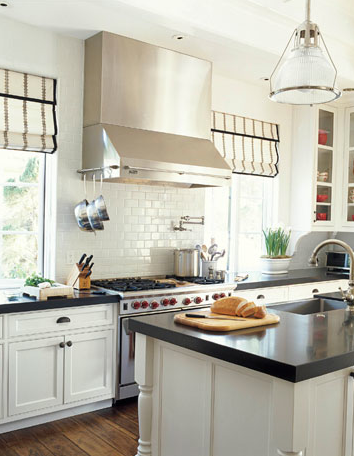 The top kitchen project is to upgrade your appliances. Of course stainless steel appliances are today’s standard, so if you haven’t upgraded yet, now would be a great time to do so. Another upgrade that’s possible for those who already have stainless steel appliances are energy efficient options. Switching to these “green” appliances will cut down on your energy bill and will be better for the environment as well. – Bathrooms are another space where many will want to see upgrades. An easy way to refresh bathrooms is to change out the fixtures. From lighting to the vanity or even just the cabinetry hardware; there are many cost effective updates that can be made in a bathroom. – Give yourself more space instantly by organizing your closets and cabinets. Clean out things you no longer use and consider investing in a closet or pantry organizer. This will immediately give the appearance of extra room as well as being easier to maintain. – Curb appeal speaks volumes for how you care for your Katy TX home overall. A lawn that is well manicured and aesthetically pleasing will appeal to most no matter what the size. Buyers will want to know they can simply maintain the lawn you’ve cared for rather than having to put in a lot of time and money for updates. – Adding outdoor living space is like adding square footage onto your home. Imagine lounging in a new outdoor living space and hosting outdoor dinner parties this summer. This update will add value and character to your home! I hope this inspires you to take on one, or more, of these projects to help your Katy TX home sell! Ensuring your home is in top condition will appeal to buyers who are looking for a move in ready home. If you have more questions about selling your Katy TX home, or you haven’t yet found a Katy TX Real Estate agent to walk with you through the home selling process; please contact me! I would be happy to talk with you about your selling needs and create a customized home selling plan for you! More on Help Sell Your Katy TX Home with These Projects! » Help Sell Your Katy TX Home with These Projects!